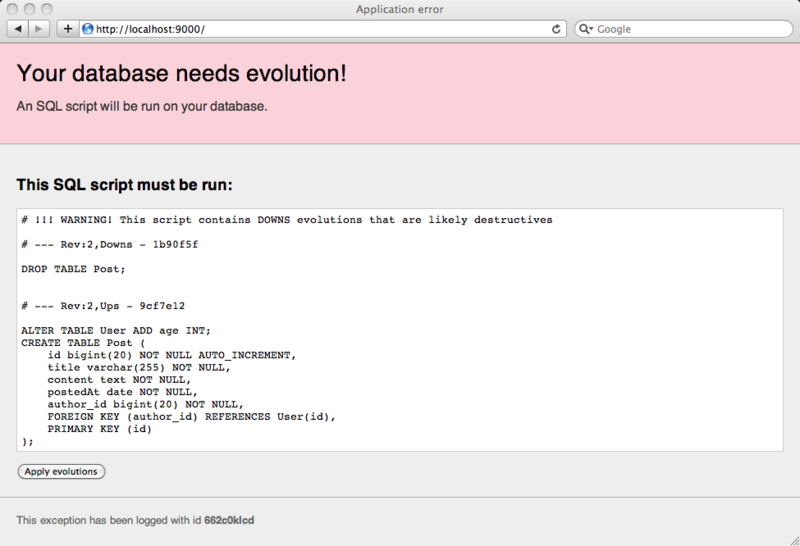 13:33:24 WARN  ~ Your database is not up to date. 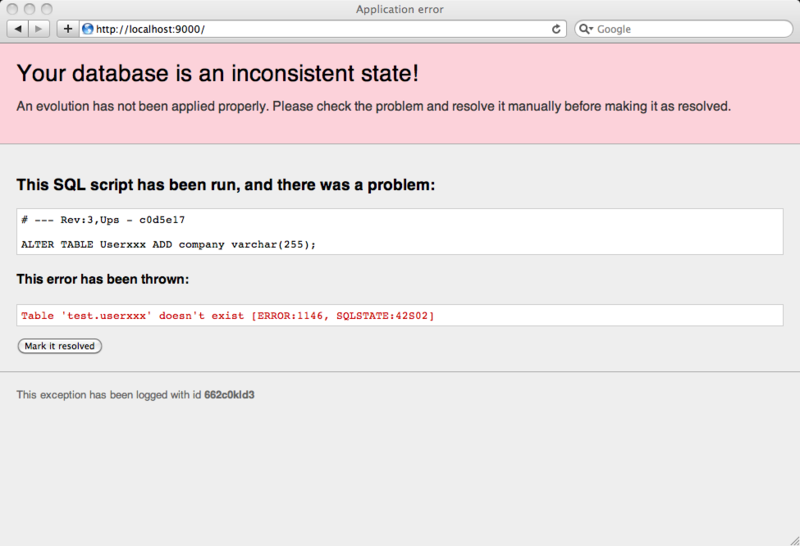 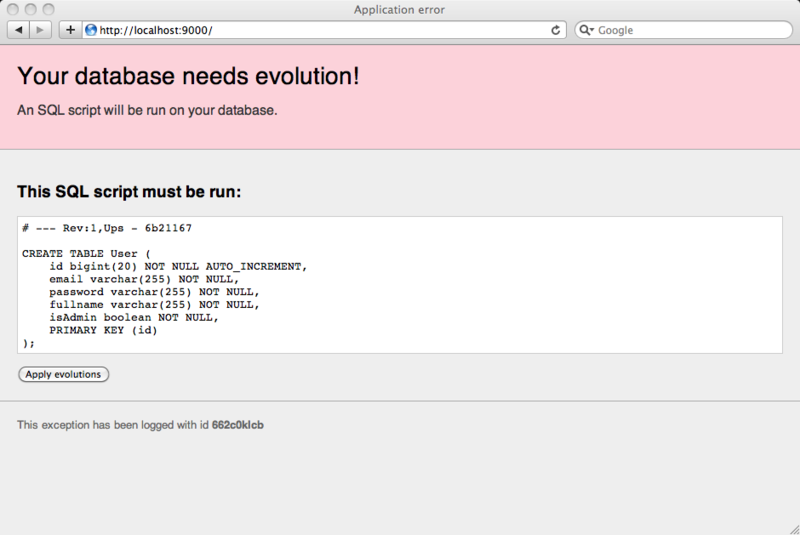 An SQL script will be run on your database. 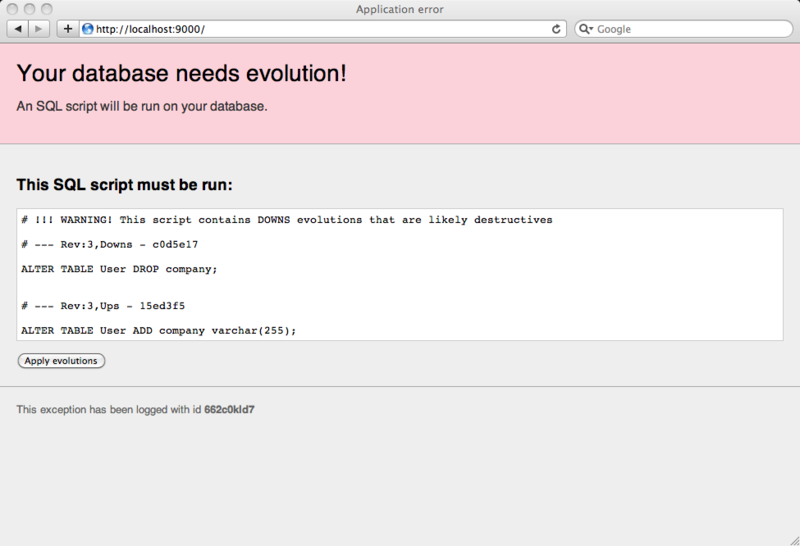 ~ Your database needs evolutions!